We’re excited to announce a contest with ReVault, a new smartwatch doubling as wearable wireless storage, which is live on Indiegogo now. ReVault lets you store your files locally and get all the benefits of the public cloud without an internet connection. It features auto-backup, auto-sync, file restore, media streaming and notifications. It comes in two sizes, 32GB and 128GB, and it’s compatible with Android, IOS, Windows, OS X and Linux devices. While you can wear it any way you want, all wearables need a charging dock, so the contest challenge is to design a beautiful, functional charging dock for the ReVault. It has to be something that people will be proud to showcase in their homes. The stand needs to include a 52.5mm (diameter) x 2.4mm (depth) circular indentation to sit the puck into, and a hole somewhere for the cord to come out of. 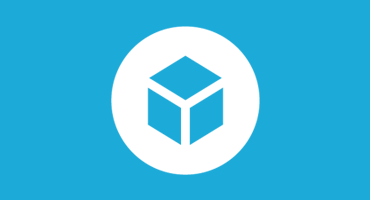 Upload your design to Sketchfab with the tag “ReVault”. You can enter as many times as you like, just tag each entry. Contest closes June 5th, 2015 at 11:59pm EST. Winners will be announced by June 10th, 2015. We can’t wait to see what you create, so feel free to share your designs with us on social media @Sketchfab and @RevaultIO. No cash or other alternative prizes available. 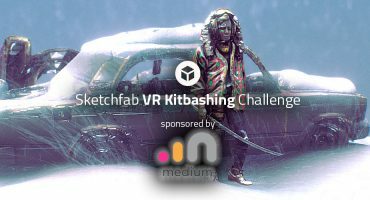 The prize draw is not open to Sketchfab or ReVault employees or their families. Contestants models must be uploaded to Sketchfab and tagged #ReVault to be considered. Winners design may be manufactured and sold by ReVault. The winner will be contacted by June 10th, 2015. The ReVault is planned to be shipped in January 2016.